Next up to the Reader Spot is the very lovely, Claire from Brizzle Lass Books. Find her beautiful book review blog HERE. Fantasy is my go to but I also enjoy Paranormal, Chick-lit and Romance and I enjoy them all in adult and YA. This changes pretty regularly but at the moment Jen Williams is probably a favourite, I’m chomping at the bit for her to bring out a new book and her debut The Copper Promise trilogy knocked me sideways. I prefer paperback, but Kindle is convenient so I do read the majority of my books on Kindle. But nothing can beat the smell and feel of a real book. Where do you purchase your books? I prefer book stores, but I’m not currently working so my budget is really tight so Amazon tends to win out just because they are so much cheaper. Once I’m working again and can be a bit more frivolous then I will lean towards indie stores. It tends to be through book bloggers and author/publisher blogs and social media. I do track authors I really like to make sure I don’t miss anything and am always on the hunt for new authors/books especially if they have dragons…I have a soft spot for dragons! Yes, I review all the books I read, even if they are really old books. I really enjoy emptying my brain of all those thoughts I have about the books and I also think it’s helpful for others (knowing how helpful I find others reviews). I post them on my blog, brizzlelassbooks.com, on Goodreads and on Amazon. I love detailed descriptions, I like to be absorbed into a book and to really know what is happening and why. And the world-building is so important to me I like to have a really clear picture of the world. I literally read everywhere, I always read in bed, but I will read while I’m waiting for the bus/train, while on the bus/train, while my husband watches football. If I can catch five minutes to read then I’ll take it! 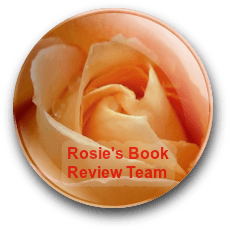 If you are a book blogger/reviewer and would like to take part in this feature, then please get in touch via my ‘say hello’ page.